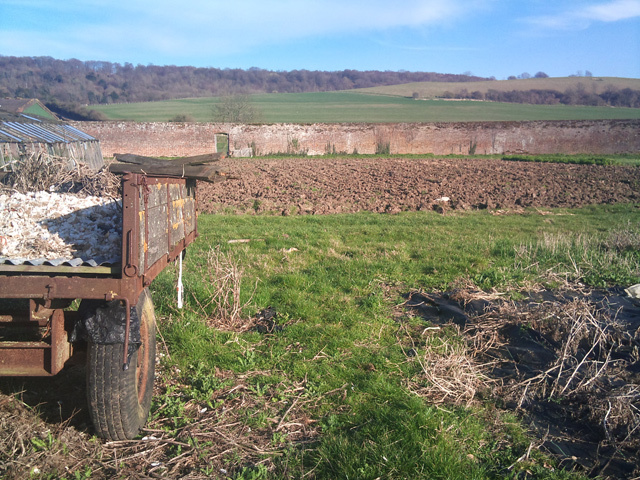 Ripple Farm is a small Soil Association certified horticultural farm situated in the Stour Valley, between Ashford and Canterbury. 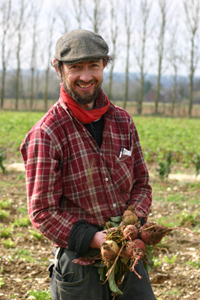 Their light, chalky soils produce vegetables of great taste and quality. Martin and Sarah at Ripple Farm also rent an amazing Victorian walled garden near Wye where they prepare their seedlings and grow salad leaves and herbs. Calabaza Growers is a small farm near Sutton in south London. 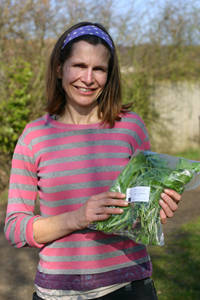 Although there are quite a few subsidised growing projects and community farms around London, Calabaza Growers is London’s first funding-free independent organic farm. Joel has brought old market garden farmland back into use and has lots of glasshouse and polytunnel space. 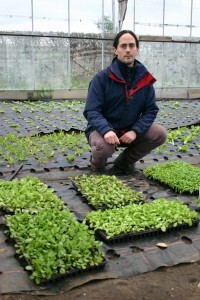 He is growing an interesting, modern set of vegetables, with lots of green options for the winter and early spring months. There are lots of varieties of salad leaves in the glasshouses, including wild rocket and lots of Japanese greens like mizuna, komatsuna, tatsoi and pak choi. In the fields, there are turnips, radishes, chard, kale and squash. Joel farms organically but won’t have certification for a few years.